I have been a Nintendo fan since the days of the Game and Watch, in fact I still have the Mario one, along with a whole collection of old consoles- a SNES, GameCube, and Gameboy, as well as the more recent Wii and DS’s of normal and 3D variety. I was planning on getting us a Wii U as a family gift this Christmas, but was then offered the chance to review one. As you can imagine we leaped at the opportunity. This is a fairly lengthy review post- including review of the console, games, and other online options, as such I have split it into clearly headed sections. The games reviews have been written by my 10 year old games whizz son- I think he has done a rather fantastic job of it too! (If anyone from Nintendo is reading- his ambition is to work for you!!) Anyway, lets make a start. The Wii U package we are testing is the 32gb Premium pack, although other packages are available. I found it very easy to get the equipment connected following the clear and simple set- up guide. The most time consuming part of the process is downloading the updates required. I would say that if you are giving this to your kids on Xmas day, it may be worth having a secret set up before hand, and getting the updates out of the way, as this process did take about an hour to complete, and that could cause nagging pain from the kids! So how does the Wii U differ from its predecessor, the Wii? It has HD capacity to add extra sparkle to the brilliant graphics, and wi-fi, which means no more trailing leads to connect it online. The major difference in use is the GamePad. This is used while playing games, and as a controller. You can even control your telly with it! The set up of the gamepad feels very familiar to those au fait with previous Nintendo games machines, it feels part big DS and part tablet. One of the things I love about it is you can play via your TV, or entirely on the gamepad if the TV is being used by someone else- saves lots of rows! The gamepad offers excellent game play and control as well as being able to use it on line via wi-fi to browse the internet etc. As usual with Nintendo products, the WiiU is backwards compatible with the previous console, meaning we can play all our Wii games on it too. We were provided with the premium pack that came with Nintendoland included, and were also sent Super Mario Bros Wii U and Wii Party U. First up- a quick view from Mum (me!). 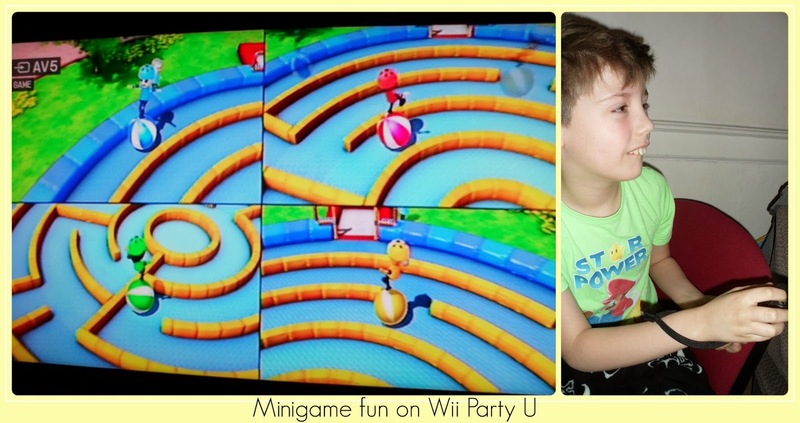 Nintendoland and Wii Party U are both brilliant games for getting the whole family involved. You can play against each other in mini games, and Wii Party U even has a board game format- both are great and straightforward games for any age group and any level of gaming ability, making them a brilliant way to spend leisure time as a family. Super Mario is of course a legend of gaming, and we love all his games, and this is no exception! Again you can play this in multi player mode and work together, or just get on with it solo. After those brief notes from me- here is Max with a more detailed review of each game! Nintendo land is a game for Wii U beginners. It explains such things as the screen and its workings, the controls and other features like how the T.V screen and the gamepad can show different images! The controls for the Wii U gamepad are very well done. The pad looks and feels like a DS, good for handheld players! The touch screen shows different info from the TV sometimes, making the mini games feel very creative. Using the wii remotes can sometimes be a tad harder, but besides that it’s perfect. I give the controls 4 out of 5 stars. The minigames are very well made. Mario Chase is a very good game- the player using the gamepad is Mario, and all other players are Toads. If Mario survives 2 minutes he has won, if the toads catch him, they win! Another one I love is Pikmin adventure, which is a 1-5 player game in which Olimar (on the gamepad) and the Pikmin (controlled by wii remotes) adventure through the wilderness. The gameplays great! I give it 4 out of 5 stars for gameplay. This game has no plot, but that’s no bad thing, it makes the game easy to follow! Basically, you are at a theme park, you play games, and it’s fun! Yeah! This game has tons of detail! Like when you get hurt- your clothes rip, and I like how everything is man made! The graphics are taken seriously- everything has shadows and reflects properly, the sky changes colour and so on. I give the graphics 5 out of 5 – top marks deserved. Very good, very creative, and a great starter game to find your way around your new console. I give it a 8 out of 10 overall! This is another classic 2D sidescrolling Mario game. This game features Spot Pass which allows you to talk to other players around the world about a level or a game need! The controls feel just like Mario Bros 2 for the DS. You can change which buttons do what (like jump/run) to your own personal preference. Fiddle about, see what ya like, I give it 4 out of 5 stars. The gameplay is GREAT, exactly what you expect from a Mario game, it is very similar to its predeccessors. I have to give it 4 out of 5 stars. Classic Mario…Peach gets kidnapped by Bowser, BUT ONLY JUST! Mario, Luigi, Blue Toad and Yellow Toad are with Peach until Bowser takes them all far away and they have to get back to rescue Peach. I love it. 5 stars. This game is beautiful, but not quite as good as Nintendoland, so for that reason it gets 4 out of 5 stars. This will not disappoint Mario fans. Great game. I give it an overall score of 8 and a half out of 10. This is a game for the whole family, it has 3 game modes- TV Party (compete in board game with minigames), House Party (which turns your room into a video game playground!) and GamePad Party (where you challenge 1 other player on the Wii U GamePad). The controls are good, but do involve swapping between remote and GamePad during the games, which can get slightly confusing. So I give it 3 out of 5 stars. This isn’t a game for serious gamers, it’s designed to be fun for the whole family. Good for fans of Mario Party. For 1 player I give it 3 out of 5, but for multiplayer- 4 out of 5 stars. There is no story, it’s a party game designed to get you playing minigames, but this makes it easy to follow. I give it 4 out of 5 stars. The graphics aren’t the best I have seen on the Wii U, but can still give you an ‘Oooh’ moment. I give it 3 out of 5 stars. It is a good game to get everyone involved with, but is not for serious gamers. I give Wii Party U a 7 out of 10 for multiplayer fun. But I give 1 player a 6 and a half as it isn’t as much fun solo. 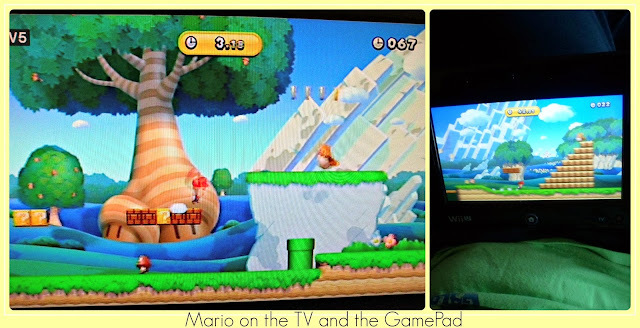 Here you can watch previews, and download apps and games to your Wii U. You can top up your account by card, or use gift vouchers. There is a fantastic range of games to choose from, all at a great price. Easy to navigate. Fantastic way to introduce your kids to the games of your own generation, or just discover something brand new at a great price. Not only can you buy blockbuster games, but there are a great range of Indie games, from small designers available at great prices. We downloaded Super Mario World for some classic fun, and Toki Tori for a new experience, both took about 5 minutes to import, then we were off and running. A really easy way to get your hands quickly on some new games! We already have a Netflix subscription, with 3 kids of such different ages, it gives us access to a whole range of programmes to suit each of them. It was remarkably easy to add Netflix onto our Wii U, and we are really loving being able to watch movies on the big TV instead of just on laptop or tablet. It means the whole family can watch something together (assuming we can all agree on something that is….). You can also watch Netflix on the Gamepad, which throw in a pair of headphones, means someone can watch in peace if they wish. We are just 2 weeks into our Wii U journey, and although we have had a bit of a play with this, we haven’t devoted enough time to have explored its uses fully. The kids love making their Miis, especially with the added option on the Wii U of using the GamePads inbuilt camera to snap yourself, then the software makes a Mii to look like you from the photograph. The Miiverse itself is like a social network for the Wii U. You can chat to friends online, join communities, hear news direct from games developers, and even share your artwork from the GamePads touchscreen. This appeals to my ten year old, as he can use it to get hints and tips on games, and no doubt the teen will love it, as she does all other social networking opportunities. These social spaces are moderated, but the Wii U also comes with parental controls enabling you to restrict access to the internet and age restricted games. It is easy to browse the internet via the touch screen GamePad. As I mentioned previously, it really does feel like a tablet as well as a controller. We have been watching comedy cats on YouTube on the big screen, you can do all the normal things you would expect from a browser, and can even switch to it mid-game if you need a bit of help with a level. Great stuff. As I said in the opening paragraph, we are already Nintendo fans, but that doesn’t mean we would accept any old nonsense from a new console. My son in particular is a games fiend, and has exacting standards for a console, and this meets all of them. It is also an excellent accessible console for occasional gamers, and family fun. The party style games really do work for all ages, and bring the family together in much the same way as traditional board games.We are big fans of the GamePad, it adds a new dimension to the experience, as well as it being great to be able to use the WiiU features away from the TV. 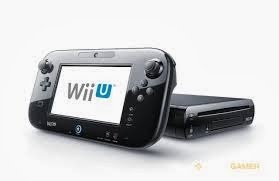 The Wii U adds to the legacy of the fab Wii, bringing you something that combines the best of the old, with some great additions and improvements- definitely worth upgrading to the new system in my opinion. I really can’t fault it, and we cannot wait to get our hands on Super Mario 3D World at Christmas, as well as the new Zelda and Mario Kart games when they come out. Another great product from Nintendo. Disclosure: We received the items reviewed at no cost, but views are genuine and honest. 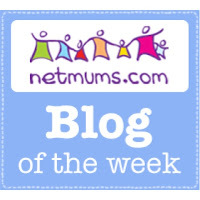 I am a member of the Netmums Parent Bloggers Network and was chosen for this review from their database, no payment was received and I retain full editorial control. I’ve never tried a Wii out, but every one I know who has one raves about it. Looks like there’s a good range of games for kids too which is always good ! My son has asked for this for Christmas, and i couldn’t understand why he’s want another console. It’s beginning to make sense now! We have never ever played with a Wii, I think the kids would love it! This is one, we haven’t ever used, but been intrigued by. Fab comprehensive review, it does look good, esp the games pad! It looks ace! My sons have started moaning at me that the new games they want aren’t on the Wii or the original DS any more – it’s all Wii U and whatever the latest DS is called! I like Nintendo stuff and would much rather they upgraded to Wii U than moved to XBox or something. We really liked our Wii too, Z can’t wait for Mario Kart to come out! Great to read such a thorough review of this. I was wondering whether to get one. has the wii been discontinued cant get it in any smyths it was 139.99.